We are pleased to announce that the winners of the Future Leaders Awards for 2018 are Dr. Al Powers and Dr. Jai Shah. Dr. Powers and Dr. Shah will be presented with their awards at the 11th International Conference on Early Intervention in Mental Health. They will be recognised and commended for their early successes in the field of early intervention in mental health. The Future Leaders Awards were created to encourage early career researchers and clinicians to continue to work in the field of early intervention. Read on to find out more about the achievements of Dr. Shah and Dr. Powers. Jai Shah is an Assistant Professor of Psychiatry at McGill University and Associate Director of the Program for Prevention and Early Intervention in Psychosis (PEPP-Montréal) in Montréal, Canada. His research and clinical work spans across high-risk states and first episode psychosis, with projects ranging from neurobiology to clinical staging to the service-related implications of early intervention paradigms. Dr. Shah is also a co-Principal Investigator and leads the economic evaluation efforts for ACCESS Open Minds, a major youth mental health service transformation initiative taking place in six provinces and territories across Canada. Dr. Shah has a particular interest in ‘scotomas’: questions of who or what is not being identified or treated in certain contexts. He is currently applying this to identify and characterise individuals with a first episode of psychosis who did not experience a prior clinical high-risk state, their pathways to care and longitudinal outcomes. Understanding and developing ways to address these and other blind spots is essential to making early intervention services more inclusive and representative. He is involved in projects funded by the Canadian Institutes of Health Research, the National Institute of Mental Health (USA), and the National Institute of Health Research (UK), and holds a clinician-scientist career award from the Fonds de Recherche du Québec–Santé. 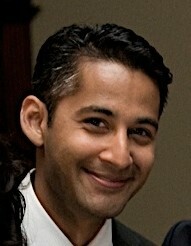 He trained as a Fellow in Public Psychiatry at Yale University, following a Dupont-Warren Research Fellowship and psychiatry residency at Harvard Medical School, an MD at the University of Toronto, and graduate work in health and social policy at the London School of Economics where he was a Commonwealth Scholar. He has additional background in research policy (at the Canadian Institutes of Health Research) and ethics (at the Nuffield Council on Bioethics). With this award, Dr. Shah hopes to contribute to IEPA’s mission of an integrative (rather than purely reductionist) vision for early intervention, whereby varied methods and approaches – neurobiology, services research, implementation science and more – are employed to welcome young people from all walks of life into flexible and personalised care, in psychosis and beyond. Dr. Powers is an Assistant Professor in the Yale University Department of Psychiatry and the Medical Director of the Yale PRIME Psychosis Research Clinic. He studied Cognitive Science at Yale before moving to Nashville for Vanderbilt’s M.D./Ph.D. program. There he studied sensory neuroscience under the mentorship of Dr. Mark Wallace. His graduate work focused on the process by which the brain combines information from the different senses and how it changes with perceptual learning. He returned to Yale for a psychiatry residency and began work with Dr. Philip Corlett, a junior faculty member whose work focused on predictive-coding-based models of delusion formation. Utilising Dr. Powers background in psychophysics and sensory neuroscience and Dr. Corlett’s background in predictive coding, they devised a study to test a predictive-coding model of hallucinations. The work that resulted, published in Schizophrenia Bulletin and Science in 2017, is the first evidence for a computational model that views hallucinations as an over-weighting of Bayesian priors during perception. Dr. Powers joined the faculty at the Yale Department of Psychiatry on July 1, 2018 as an Assistant Professor. His work, funded by a K23 Career Development Award from the NIMH and a Career Award for Medical Scientists from the Burroughs-Welcome Fund, focuses on applying the computational tools he has developed toward early detection and novel treatment development in psychosis. 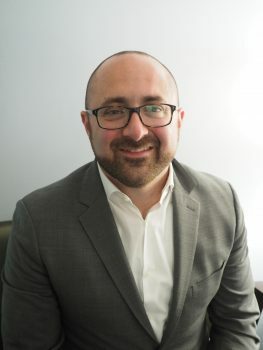 His clinical work is focused upon treatment of patients experiencing attenuated psychotic symptoms, as the Medical Director of the Yale PRIME Psychosis Prodrome Research Clinic. Treating and devising new approaches to patients in the earliest phases of psychotic illness is Dr. Powers’ passion and life’s work. Receiving the Future Leader Award from IEPA is such an honor because it validates this passion and welcomes him into a community of researchers whose work has inspired and laid the foundation for his own. He is thrilled to join IEPA and looks forward to contributing work that will move knowledge forward for the sake of patients and their families. To see Dr. Powers and Dr. Shah receive their awards, register for IEPA11 today.